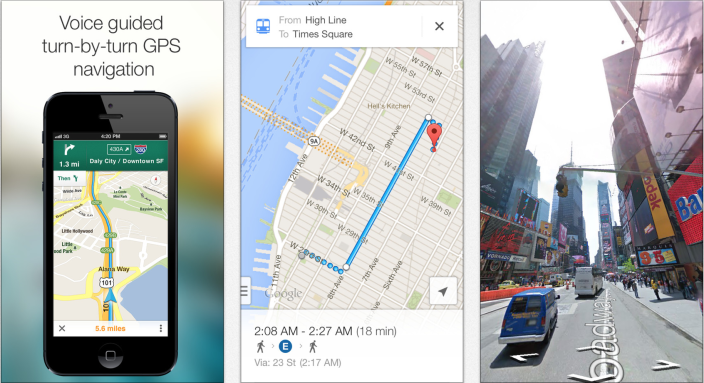 Finally, it looks like iOS users can now enjoy the same updated Google Maps for Android and on the web. Early this morning, Google began rolling out the Google Maps for iOS V2.0 update onto the iTunes store so visit the app store for an update. Google Maps V2.0 also brings support for iPad and iPad mini users for the first time, just open the App Store app on your big screen, download Google Maps and enjoy a bigger and better Google Maps now. On top of the new interface, the app now supports navigation as well with incident reports and my personal favorite, live traffic updates. There is also a new Explore function to browse popular places such as restaurants, shopping, playing and sleeping – only applicable for those who are planning a trip overseas where Zagat ratings and deals via Google Offers are available. Another notable new feature is an indoor mapping functionality for malls, transit stations and airports. Visit the App Store now to get Google Maps; it’s now available in Malaysian App Store too so nope, you don’t have to log into your U.S. iTunes account to download it.